Sunny Nash, distinguished scholar and leading author on U.S. race relations, wrote a biography of Grammy-award-winning jazz guitarist, Kenny Burrell for the African American National Biography. Nash was invited by Henry Louis Gates, Jr. and co-editor, Evelyn Higginbotham, to join the project in 2008 to write profiles of twentieth century jazz and rhythm&blues artists whose careers had influenced modern music. The African American National Biography is a collaborative venture between the W. E. B. Du Bois Institute for African and African American Research at Harvard University, the Oxford University African American Studies Center and the Oxford University Press. According to Harvard, Gates and Higginbotham hope the books will be used by scholars and will have a place in schools, libraries, and in African American homes. “What better way to understand the richness, complexity, and depth of African American history than through biography, because people’s lives are so complex,” says Higginbotham. 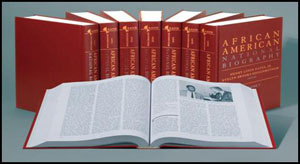 Review and purchase 8-volume hardcover African American National Biography , a compilation of more than 4,000 articles on the contributions of African Americans to the history of the United States and the world. Also on the link, see other related titles on this subject. Product Description: The African American National Biography presents history through a mosaic of the lives of thousands of individuals, illuminating the abiding influence of persons of African descent on the life of this nation from the arrival of Esteban in Spanish Florida in 1529 through to notable black citizens of the present day. “Just to give you an idea about the era in which Kenny Burrell was born,” Nash said, “The Great Depression gripped the nation at that time, causing families all over the world, including the Burrell family, to suffer after global financial systems collapsed; and the High Plains region of the United States was plunged into darkness in 1931 by black dust, deepening the Depression’s effects on families sinking lower and lower into poverty,” all of which changed the world forever. 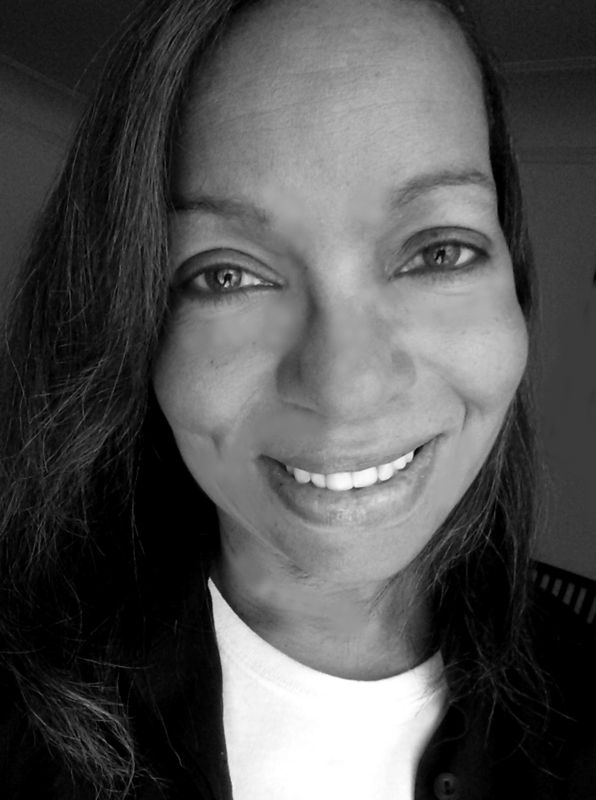 Using her music knowledge and performing experience, Sunny Nash completed three assignments in the music categories of Jazz and Rhythm & Blues, among more than 4,000 articles in the eight-volume set of historical profiles of well known figures throughout the world, which included Kenny Burrell, Grammy award-winning guitarist, composer and jazz educator, born in Detroit, Michigan, on July 31, 1931. Nash’s other two assignments were jazz trumpeter, Clark Terry, and Rhythm & Blues pioneer, Ben E. King. Youngest of three sons, he was born Kenneth Earl Burrell into a poor family that enjoyed music as part of its daily life. Burrell’s mother played piano and sang in the choir at Second Baptist Church, Detroit’s oldest black congregation, organized in 1836 and part of the Underground Railroad, an invisible route ushering slaves to freedom before Emancipation. A piano in the home became the first instrument Burrell played as a child, performing once before an audience in his school’s auditorium. Listening to Lester Young and Coleman Hawkins, saxophone was Burrell’s first love but his family could not afford the instrument, particularly expensive due to the great demand for metal to manufacture military equipment and ammunition during World War II. Burrell’s father played banjo and ukulele, which may account for Burrell and his brother’s fearlessness of stringed instruments. At age 12, Burrell settled for guitar, an inexpensive instrument made of strings and a bit of wood, because his family could afford to buy the cheap instrument. He learned guitar technique watching his older brother Billy play guitar at small clubs around Detroit and listening to records by Duke Ellington, Count Basie, Benny Goodman and the Mills Brothers that his older brothers brought home. In 1946, when Burrell was 15, Billy had switched to electric bass and played with the Willie Anderson Trio at Club Sudan. Influenced by his brother’s electric bass and Charlie Christian’s electric guitar on Benny Goodman, Lionel Hampton and Harry James records in the early 1940s, Burrell liked the ability to solo due to the volume control that amplification gave formerly acoustic instruments. Following Billy to gigs, Burrell began sitting in with professional musicians at Club Sudan and other nightspots. At Wayne State University, Burrell studied theory and composition, took private jazz and classical guitar lessons and spent evenings in clubs listening to saxophonist, Charlie Parker; and trumpeters, Miles Davis and Dizzy Gillespie. Burrell’s style in his first group with Tommy Flanagan and Milt Jackson’s brother Alvin was inspired by The Nat King Cole Trio, but changed when Kenny became interested in hard bop, fast-tempo improvisational music that emerged from bebop, influenced by blues, rhythm and blues and gospel, especially in piano and saxophone playing. In 1951 at age 19, while in college, Burrell played with hard-bop trumpeter, Dizzy Gillespie, and made his debut recording with Gillespie; bassist, Percy Heath; vibraphonist, Milt Jackson; and alto saxophonist, John Coltrane. Gillespie wanted Burrell to go on tour but Burrell wanted to finish school. After earning a Bachelor of Arts in music in 1955, he went on a six-month tour with Oscar Peterson. Moving to New York in 1956, he performed in clubs, in Broadway pit bands and on stage or in the studio with such artists as clarinetist and bandleader, Benny Goodman; vocalist and bandleader, James Brown; vocalists, Billie Holiday, Lena Horne and Tony Bennett; vocalist and pianist, Nat King Cole; tenor saxophonists, Gene Ammons, Stan Getz, Yusef Lateef and Coleman Hawkins; organist, Jimmy Smith; and pianist, Tommy Flanagan, born in Detroit one year before Burrell. In 1956, Burrell recorded Introducing Kenny Burrell, All Night Long and All Day Long with trumpeter, Donald Byrd, born in Detroit in 1930 and a Wayne State University graduate. This session was followed by sessions with John Coltrane, Paul Chambers and Kenny Clark. In 1957 he recorded under the name “Kenny Burrell and His Four Sharps” for JVB. In 1960, Burrell signed with Columbia Records and released Weaver of Dreams, featuring Burrell’s vocals and guitar, but did not attract much attention. In 1961, Burrell recorded four instrumental sessions that ended up staying on the shelf until nine of the tracks were released in 1983 on the LP, Bluesin’ Around. Complete sessions were released in 2002 by Euphoria as part of Moten Swing, its jazz guitar re-issues. In 1963, he recorded Midnight Blue and in 1964, began a series of orchestral recordings, Guitar Forms, for Verve, which included a tribute to Benny Goodman and Charlie Christian, A Generation Ago Today. Burrell moved to California in 1971 and recorded Round Midnight and Stormy Monday for the Fantasy record label. In the mid-1970s, he led jazz workshops at the University of Southern California-Los Angeles (UCLA) and, in 1978, taught a course on Duke Ellington’s music entitled, Ellingtonia, the first university course on Duke Ellington and recorded a tribute, Ellington Is Forever, in 1975, one year after Ellington’s death in 1974. Known as Ellington’s favorite guitarist, although he never played with him, Burrell played banjo on Hot and Bothered by Ellington’s son, Mercer, in 1984. In 1985 and ’86, Burrell toured with the Phillip Morris Superband. In 1996, Burrell accepted the position as Director of Jazz Studies at the University of California, Los Angeles, where he continues his teaching career today. Beginning as a hard bopper, Burrell released 96 recordings; was featured guitarist on more than 200, including ones with Art Blakey, Herbie Hancock and Quincy Jones; and played on hundreds as sideman. His compositions have been recorded by artists such as Ray Brown, Jimmy Smith, Grover Washington Jr., John Coltrane, June Christy, Frank Wes and Stevie Ray Vaughn. As his career continued, his style achieved mellow richness. In 1997, he wrote and recorded a composition which the Boys Choir of Harlem that premiered at Lincoln Center; in 1998, wrote the Grammy award-winning Dear Ella, a Dee Dee Bridgewater performance; released Lucky So and So in 2001; received the 2004 Down Beat Jazz Educator of the Year Award; and was named an National Endowment for the Arts Jazz Master in 2005. Visit www.sunnynash.com for more information on similar historical subjects. Sunny Nash will present a cultural heritage preservation program in Spring 2017 at Smith Elementary School, renamed in 2015 in honor of Bobbie Smith, the first African American elected to the Long Beach Unified School District Board of Education. 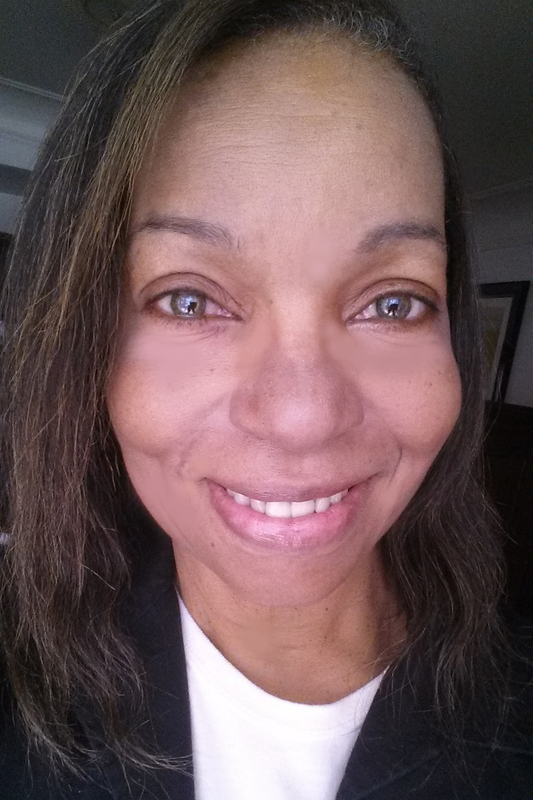 “Everyone has a legacy, even children,” said Sunny Nash, three-time winner of Arts Council for Long Beach Professional Artist Fellowships (2003, 2009 & 2014), a 2016 Arts Council for Long Beach Micro-Grant, and recipient of a 2016 American Business Women’s Association Shine Award. “Being a journalist, I am comfortable with research, fact-checking and history, integral components in constructing news and legacy, Nash said. The cultural heritage preservation program for K-5 students at Smith Elementary will include a literary reading, from Nash’s book, Bigmama Didn’t Shop At Woolworth’s, select articles from her nationally syndicated newspaper column about life with her part-Comanche grandmother during the Civil Rights Movement. The book is recognized by the Association of American University Presses as a book for understanding U.S. race relations, and recommended by the Miami-Dade (Florida) Public Library System for Native American Collections. Based on her recognition in U.S. race relations research, Sunny Nash writes a popular blog: Race Relation in America. Nash will also host an interactive lecture, demonstrations, student discussions and an Exhibition, How a Child Builds Legacy, supported in part by the Arts Council for Long Beach; Alta Cooke, the first African American principal of a Long Beach high school, David Starr Jordan; and the City of Long Beach, California. Sunny Nash earned a Bachelor of Arts Degree in Journalism and Mass Communications from Texas A&M University; a Postgraduate Diploma in Online Instruction and Technology from the University of California, San Diego; and an Adjunct Professor Graduate Certificate from the Cronkite School of Journalism and Mass Communications at Arizona State University through the Poynter Institute. Nash studied Visual and Information Literacy at the Simmons College, Graduate School of Library and Information Science in Boston, Massachusetts; and Career and Technical Education at Texas A&M University. Nash earned Research Methodology and Digital Records Preservation certificates at the U.S. Library of Congress and U.S. National Archives and Records Administration in Washington DC; Texas State Library and Archives in Austin; Idaho Commission for Libraries in Boise; and the University of London. Nash completed U.S. Department of the Interior (DOI) Certificate programs in Cultural Heritage Management; Cultural Resource Management; Archaeological Collections Management; Archaeology Interpretation; Interpretive Archaeology; Communications and Records; and Archaeology Administration, Law and Ethics. Recently, Nash wrote a DOI Cultural Heritage Case Study about the preservation of her childhood home. Her study reveals the historical relevance of a family that seemed typical during the mid-twentieth century when Nash was the age of Smith Elementary students to whom she will be presenting the cultural heritage preservation program. Building on her DOI Cast Study, Nash’s cultural heritage program at Smith Elementary will look beyond the structure and examine what may be commonly mistaken for junk. Although the contents of her childhood home have no resale value, Nash will demonstrate that select items in the house possess historical characteristics, as do items she will encourage the students to preserve. To demonstrate the historical worth of their collections, she will exhibit published column reproductions, based on her own childhood memories. Students will be instructed in simple methods of preservation, care and storage their personal treasures. Drawn from her childhood, Nash’s newspaper articles were originally published in the State Lines Section of Texas Magazine in the Sunday Edition of The Houston Chronicle, and syndicated nationally by Hearst, Knight-Ridder and Black Conscience Syndication of New York. Sunny Nash’s journalism and photojournalism are collected by the Smithsonian Institution in Washington DC, Schomburg Center in New York, Library of Congress in Washington DC, U.S. Presidential Libraries, university archives, academic collections and international libraries and museums. These items represent Nash’s life in the home where she grew up with her parents and maternal grandmother, Bigmama. “At the time I was writing these articles about my family, home, neighborhood and dreams, I had no idea they would ever serve any educational purpose, be syndicated all over the world or be collected in a book,” Nash said. From 2005-2008, Nash won YMCA grants to conduct after-school classical music, literature and photography programs in Southern California elementary schools. Nash also won grants to conduct literary and photography programs in Houston, Cleveland, New York, Newark, Santa Fe, Nashville, Philadelphia and Los Angeles. For decades, Nash–who completed several U.S. Department of Justice (DOJ) programs in First Amendment Rights, Communications and Law, Crime Scene Investigation (CSI), Forensics, and Population Genetics–has conducted literary and photography workshops in juvenile and adult criminal justice facilities around the country; published articles on juvenile justice; contributed to scholarly publications on crime; and spoken nationwide to diverse audiences on reducing crime through participation in the arts, historical projects and cultural preservation. In 2006, Henry Louis Gates, Jr., invited Sunny Nash to join Harvard University’s African American National Biography, an eight-volume collection published by Oxford University Press in 2008 and now online. Winner of a 2014 National Endowment for the Humanities (NEH) Award to moderate the national series, Created Equal, Nash was also a 2015 finalist for a Guggenheim Award, nominated by former Houston Chronicle publisher, Tony Pederson. Recognized by Women in Photography International, Nash’s photographs are currently touring internationally with the Smithsonian Exhibition, Reflections in Black: a history of black photographers, 1840-present, published as a reference volume in 2000 by W.W. Norton in New York. Nash’s historic photographic and document reproductions, and oral histories, The Peterson Legacy, exhibited at the George H.W. Bush Presidential Library and Museum, won a 2014 Ottis Lock Endowment Award & Research Grant. Nash received the Charter Communications 2004 Television Producer of the Year Award and, while under contract at the University of Texas Health Science Center UTTV, she won a nomination for the Robert F. Kennedy Documentary Journalism Award. Through its mission: To foster creativity and culture, enlivening communities and enabling a thriving economy, the Arts Council for Long Beach is a private 501(c) 3 non-profit organization that promotes and advocates for the arts, helps fund Long Beach, California, artists like Sunny Nash, arts organizations and arts projects, and encourages private individuals and donors, to give and support artists and projects like the cultural heritage preservation program Nash will be presenting next year to students at Smith Elementary School. Photographers can learn from curator, Sunny Nash, how to research, restore and reproduce historical photographs and documents to create image archives for digital preservation formats and online exhibitions. Sunny Nash installed historical materials at the Carnegie History Center in Bryan, Texas, through a grant from the East Texas Historical Association (ETHA) pertaining to her study, The Peterson Legacy: Images & Words, an oral history and exhibition of antique photographs, military records, deeds and marriage licenses, which were displayed last year at the George H.W. Bush Presidential Library and Museum. ETHA established the Ottis Lock Endowment Award and Research Grant in 1984 to commemorate Ottis Lock for lifelong interest in the history, heritage and folklore of East Texas. The grant allows expansion of a contribution by research team, headed by Shawn Carlson, of which Nash and Sue Winton Moss were members, at the Texas A&M University Center for Environmental Archaeology, commissioned in 1993 by the State of Texas. Nash conducted oral history interviews, restored and reproduced historic photographs and papers; collected genealogical data, ancestral memorabilia, military records, deeds, marriage licenses, letters and church history; and conducted an Ancestry “Case Study: From Oral History to Excavation,” which qualified Nash for the Lock grant for further research on the rural East Texas landowners. 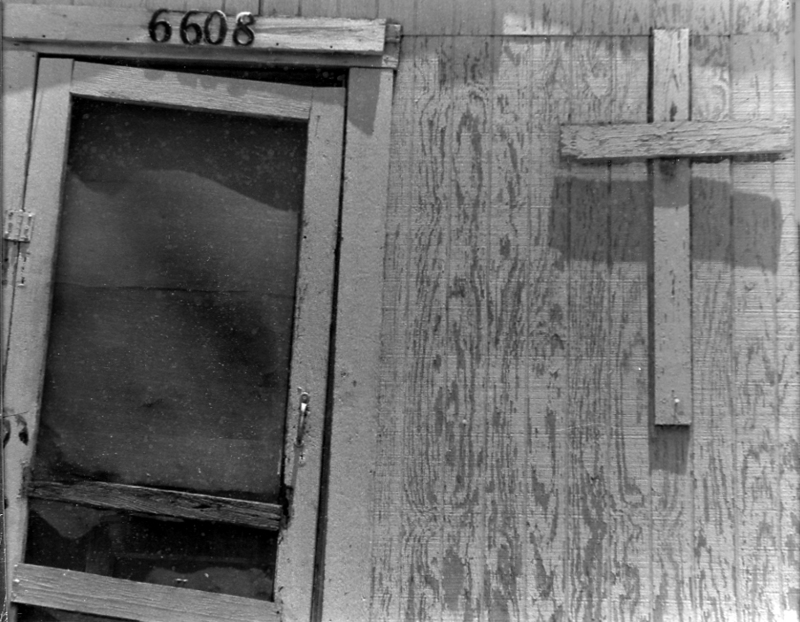 The final, African-American Lifeways in East-Central Texas: The Ned Peterson Farmstead, helped facilitate nomination of the 19th Century Peterson farmstead to the National Register of Historic Places in Washington D.C. “The research is a micro-cosmic examination of rural black life–19th Century through the present,” Nash said. To attract global online audiences to this historical study, Nash will employ the principles of the emerging discipline—visual literacy—a teachable set of skills that enables a person to understand a subject by viewing photographs, documents, illustrations, charts and graphs. Nash introduced plans to create an exhibition of her research in a speech to the College Station Historic Preservation Committee, and received a Lock grant this year to enhance the exhibition with discussion aids, handbook, online scholarly research guide, and five volumes of original research documents, which are now at the Carnegie. Sunny Nash earned a Bachelor of Arts, School of Journalism, Texas A&M University; Graduate Certificate, Instructional Technology, University of California, San Diego; Adjunct Professor Specialization, Cronkite School of Journalism & Mass Communications, Arizona State University; Professional Development, igital & Visual Literacy, Simmons Graduate School of Library & Information Science. 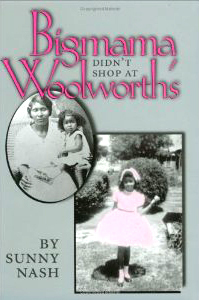 Nash’s book, Bigmama Didn’t Shop At Woolworth’s, about life with her part-Comanche grandmother during the Civil Rights Movement was selected by the Association of American University Presses for its value to understanding U.S. race relations; and the Miami-Dade Public Library System recommends Nash’s book for Native American collections. Women in Photography International recognizes Nash for photographs collected for the Smithsonian Exhibition and international tour, Reflections in Black. A resident of Southern California, Nash is a three-time winner of Arts Council for Long Beach (California) Artist Fellowships (2003, 2009, 2014). Sunny Nash, internationally acclaimed photojournalist, author and three-time winner of a Long Beach Professional Artist Fellowship, will be on an artist panel to discuss the popular exhibition, REINVENTORY, at the Collaborative Gallery along with the other 2015 Professional Artist Fellows and exhibition curators of . The artist panel on Thursday, August 20th from 5–7pm, to discuss the REINVENTORY Exhibition, which opened on July 10, 2015, with a reception for about 250 guests, is an encore event before the show closes, Saturday, August 22. Appearing on the panel with Nash will be dramatist, storyteller and performer, Yulya Dukhovny; award-winning filmmaker,Pamela K. Johnson; Textile artist, social activist and scholar, Carole Frances Lung; and award-winning artist, Olga Lah; and curators, Marco Schindelmann, Artist Professor of Voice and Director of the University Opera at the University of Redlands, who has performed as a soloist, throughout Europe and Japan, and Kamran Assadi, who has for many years been an advocate, active member and creative leader in the Long Beach arts community. Sunny Nash, recognized by Women in Photography International, uses literature and visual media to preserve history, and to document contemporary urban life. Nash’s part of the REINVENTORY Exhibition includes a selection of 20 images from her collection, Shopping for Hope: a photographic study of storefront churches across America–New York, Houston, Los Angeles, Newark, Philadelphia, Cleveland, Santa Fe and Nashville. 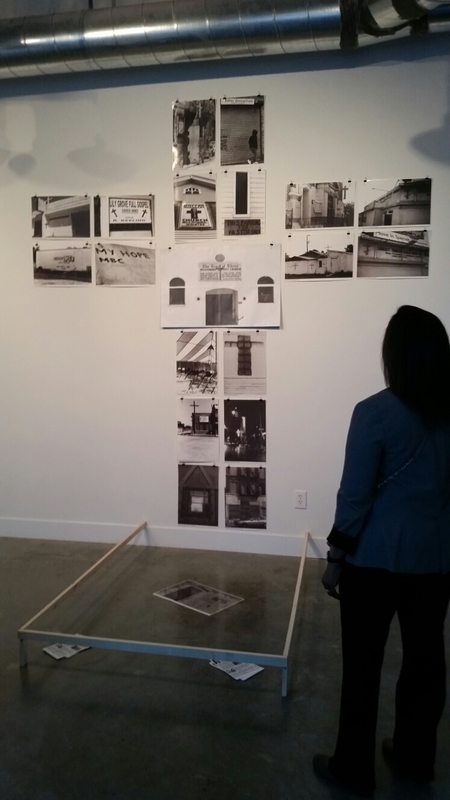 The Collaborative Gallery is located at 421 W. Broadway in Long Beach, California. For information on this event and other Long Beach arts news, contact Cynthia Lujan of the Arts Council for Long Beach. Photojournalist Sunny Nash first began her collection, Shopping for Hope, a study of storefront churches across America,” 20 years ago when the U.S. was experiencing a rise in violence occurring in urban, and especially storefront, churches. Nash, recognized by Women in Photography International, uses literature and visual media to preserve history, and to document contemporary urban life. A selection of 40 of the Nash Shopping for Hope images from New York, Houston, Los Angeles, Newark, Philadelphia, Cleveland, Santa Fe and Nashville will be on display at the Collaborative Gallery, 421 W. Broadway, Long Beach, California, in honor of her 2015 Arts Council for Long Beach Artist Fellowship. The show curators, Marco Schindelmann and Kamran Assadi, will also feature works by other 2015 Arts Council for Long Beach Artist Fellowship recipients, who appeared together at the Long Beach Museum of Art. They include: Dramatist, storyteller and performer, Yulya Dukhovny; award-winning filmmaker, Pamela K. Johnson; Textile artist, social activist and scholar, Carole Frances Lung; and award-winning artist, Olga Lah. Curator, Marco Schindelmann, Artist Professor of Voice and Director of the University Opera at the University of Redlands, has performed as a soloist, throughout Europe and Japan. Curator, Kamran Assadi, has for many years been an advocate, active member and creative leader in the Long Beach arts community. In 1991, New York’s Schomburg Center for the Study of Black Culture began collecting Nash’s Hope images, and featured Nash photographs in a Schomburg symposium on religion in America. In 1992, the Smithsonian Institution in Washington, D.C. acquired 52 images for its inventory on religion. 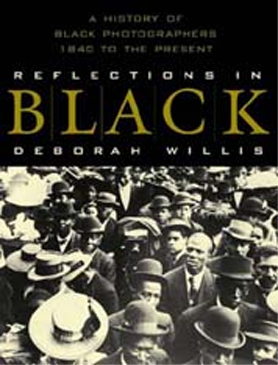 In 2001, two of Nash’s photographs toured internationally with Smithsonian Exhibition, Reflections in Black: a history of black photographers, 1840 – the present, which was published by W.W. Norton. © 2015 Sunny Nash. All Rights Reserved Worldwide.